The Pound Sterling to Danish Krone (GBP/DKK) exchange rate was trending within a tight range on Friday morning. Although British economic data failed to meet with median market forecast figures, the Pound edged higher versus many of its most traded currency rivals on Friday. This is likely to be the result of speculation that the Bank of England (BoE) will look to raise the cash rate after the general election concludes, especially considering data has printed positively on the whole over the past few weeks. The Danish Krone, meanwhile, softened versus many of its most traded currency competitors thanks to mixed results from domestic data. Of particular detriment was yearly Industrial Production which declined significantly. The Pound Sterling to Danish Krone (GBP/DKK) exchange rate is currently trending in the region of 10.3160. British manufacturing and industrial production both showed growth on the year, but failed to meet with market consensuses. Industrial Production increased by 0.1% on the year in February, failing to meet with the median market forecast of 0.3% growth. Manufacturing Production advanced by 1.1% on the year in February, below the forecast figure of 1.3%. 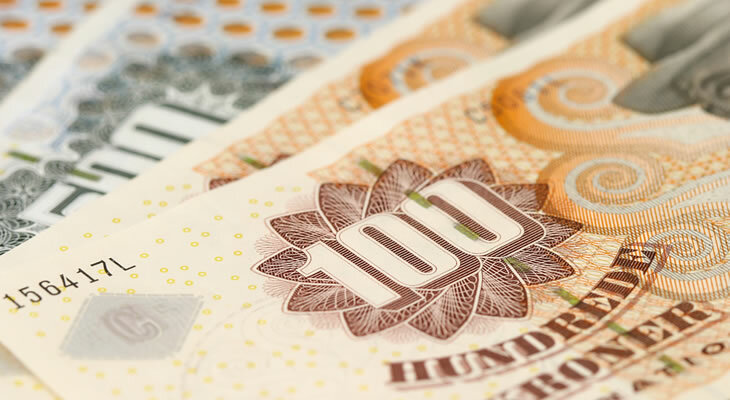 The Pound Sterling to Danish Krone (GBP/DKK) exchange rate dropped to a low of 10.2880. Danish economic data produced mixed results on Friday causing the Krone to soften versus many of its most traded currency counterparts. Of particular significance in terms of its poor result was February’s Industrial Production which cooled by -2.32% on the year. One redeeming note on industrial production was the monthly score which advanced by 1.08% in February. The Danish Inflation Rate was positive in March, however, rising from 0.2% to 0.6% on the year. Given that the UK’s Gross Domestic Product estimate is still due for publication, the Pound Sterling to Danish Krone (GBP/DKK) exchange rate is likely to fluctuate over the course of Friday’s European session. The Pound Sterling to Danish Krone (GBP/DKK) exchange rate climbed to a high of 10.3400 today.